Compu IT is a company dedicated to providing Companies and Individuals with the best and most affordable Email and Web Hosting as well as Website and Web Application Development solutions. Our Services include Domain Name Registration, Web Hosting, Web Development, Application Development and Email Hosting. 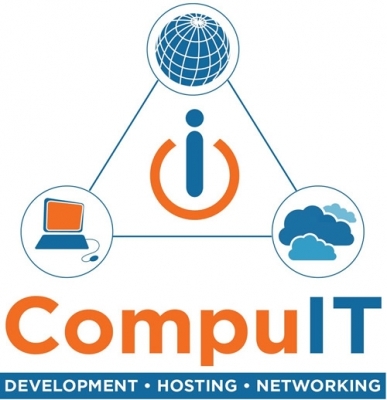 At Compu IT, we offer you excellent services at competitive prices. We believe in small profit, quick returns. When it comes to Website and Web Application Development, we have a team of professionals who see to it that every slight detail of your website or application is carefully crafted to give it the professional touch we stand for. Our designers make sure they come up with the best designs that spell out what your organization stands for and at the same time, not forgetting the functionality of your website. Your website tells who you are and we make sure we give you a fair representation. All our websites come with Content Management System (CMS). This enables you to update the content on your website without having to contact the developer. This is not to say we don't offer after sales services. We still avail ourselves for updates and upgrades when you need us. We develop our web applications from scratch, making it possible for us to give you exactly what you want. That is to say, our web applications are tailor made to suit your needs. We are not leaving our professionals out. We offer you affordable and reliable web hosting. Efficient web hosting is absolutely essential to the performance of your web business. This is why you should choose us; we never compromise on quality with our web hosting. All of our servers are connected to multiple upstream bandwidth providers. This if one connection is down, the others will continue to provide the necessary connectivity to your website thereby reducing your website's downtime zero. Why use generic or free email addresses which affect your credibility when you can get an email address that reflects your company name at an affordable price. You don't need to have a website in order to use an email address that reflects your company name. Talk to us and you are set to go.